Home » Blog » Yoga at Night in Goa! 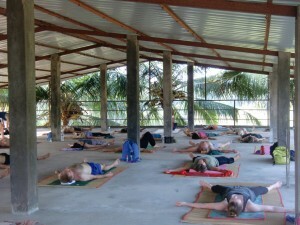 Posted by Goldie in Blog, Yoga | Comments Off on Yoga at Night in Goa! 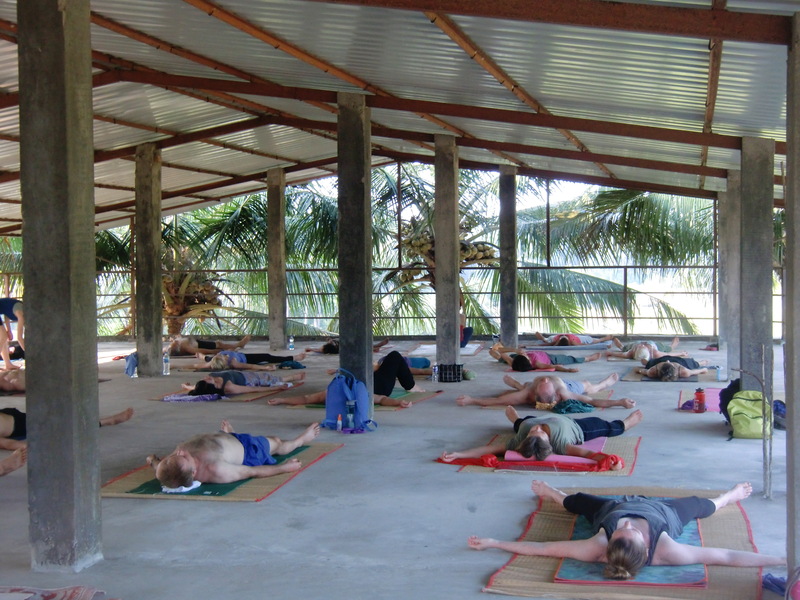 I love the 4 pm Yoga sessions here at Shri Kali Ashram, because as we are practising on the roof top of Mata Shree, the sun sets, all becomes dark, and one can more clearly hear the ocean waves and the chorus of crickets ~ it’s so cool! The picture below is, of course, while there still is the light of day (smile)!